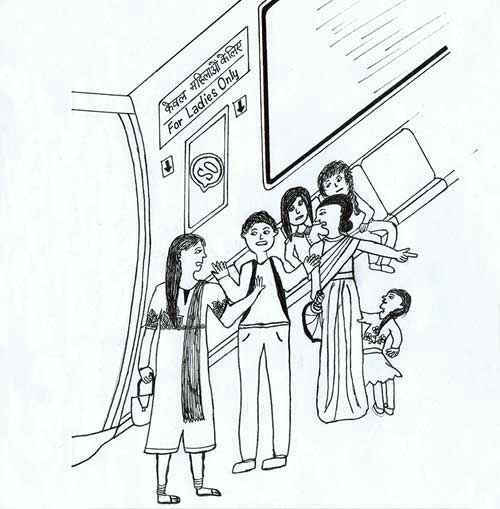 There are two things every person living in Delhi has done at least once in their life - travelled by the Delhi Metro and observed the people around them! 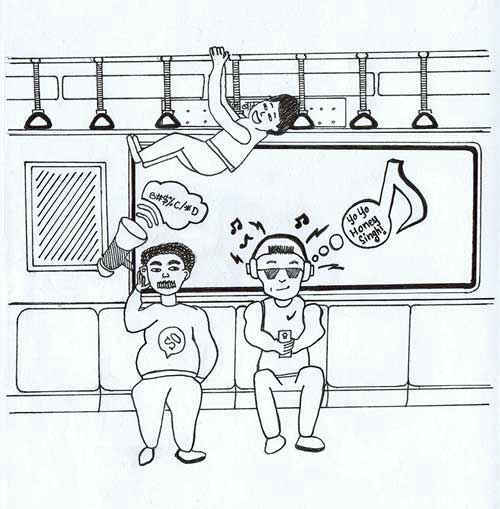 We, being true Delhiites, have done it too and so we showcase to you our daily observations of the stereotypical people seen in the form of cute, funny little doodles. If you can spot or relate to people from the list, do share your story with us! We’re all ears! Nobody wants to wake up (and confront) the sleeping giant; even if they are the types who are just pretending to sleep in the space reserved for the old or the physically challenged. 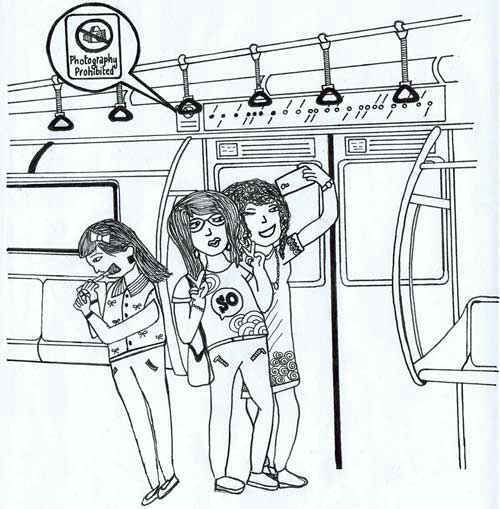 These characters can be seen in a Metro on any route - if found, show no remorse and give them a rightful nudge! Have you also had someone tell you, ‘thoda adjust karlo please’? Or been cramped up between people trying hard to share the same seat space with you? Then welcome the Adjustmentals! They squeeze in the tiniest of space they see and eventually leave your rear hanging in mid-air. Beware of them, they will sweet talk you into giving up your seat! 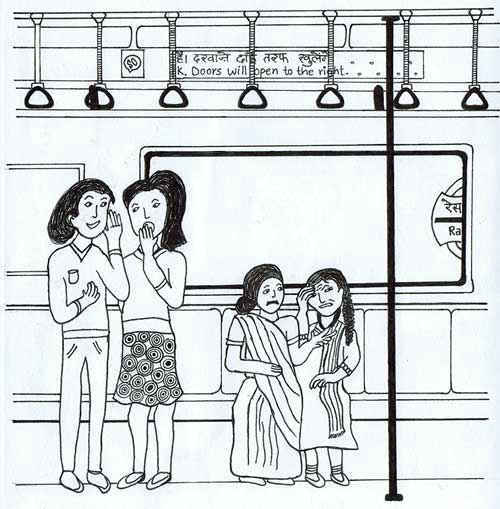 They giggle and chatter in high-pitched tones and riding the metro with them is like listening to an all India radio gossip channel. Ignore the poor ladies as they probably don’t have anything exciting happening in their own lives! ‘Cause if you mess with them, then God alone can save you! The most peaceful and harmless of the lot, they’re not bothered about anything that’s happening around them (not even their own kids!) the bookworms are found deeply engrossed in their books. 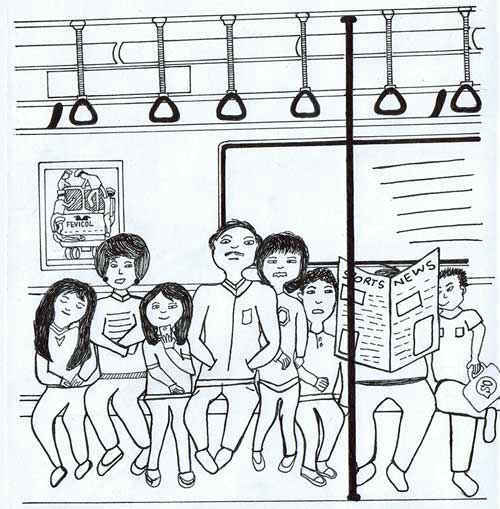 They can be seen in every corner and compartment of the metro. Leave them alone, as they don’t tend to like people butting in or making any conversations with them. 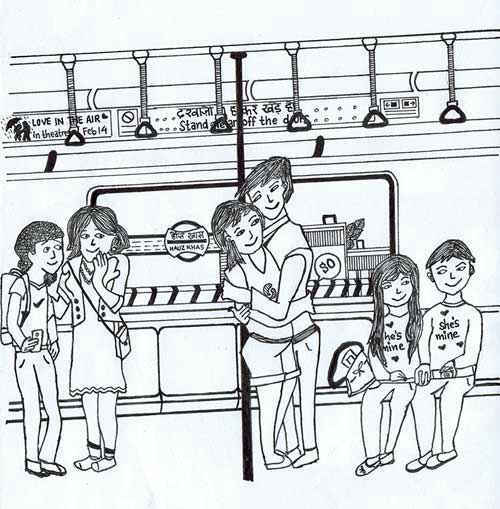 These lovebirds can be seen entwined in each other all over the metro! They sometimes are so into each other, they don’t seem to notice how awkward it gets for others around them. If you spot one of these, please be polite and tell them to get a room, not a metro compartment to show their love! These people are noisy and are often seen screeching into their phones, ‘can’t hear you!’. But they don’t get that we surely can, and so they need to stop screaming at the top of their lungs. No point telling them to lower their volume, as these people think it’s cool to talk like this, rap Honey Singh tunes loudly and proudly want everyone to know what’s happening in their lives! Some people just can’t control their eyes from wandering. They love to spy on other people’s lives by peeping into their phones and just can’t mind their own business! 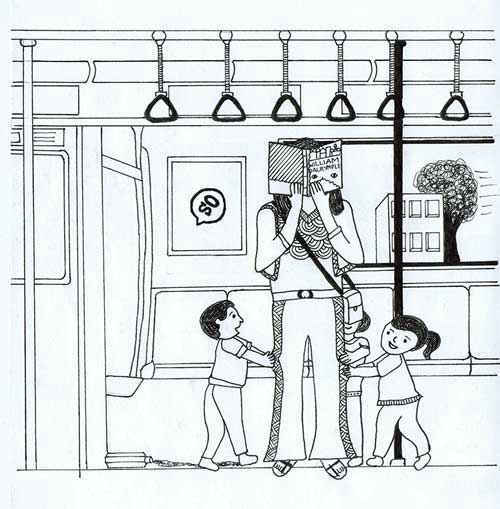 Sit or stand at a distance from such people as they often turn into creepy stalkers!! 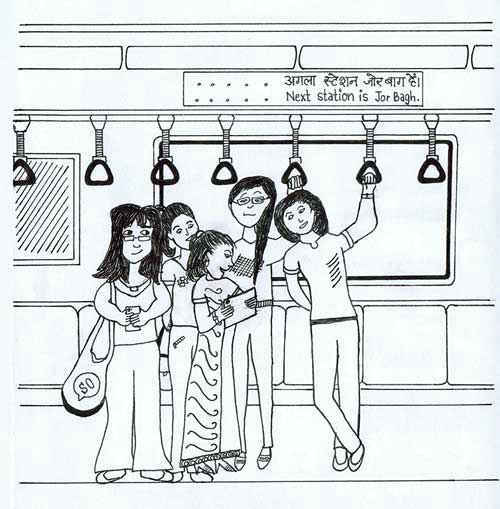 You often find dolled up selfie queens obsessing over themselves nonchalant of the hustle and bustle of the metro. The selfie formula is the same everywhere - take your positions, angle yourselves, insert pout and *click* away from as far as the arm allows, in burst mode! So, instead of making faces at them, feel bad for them as they are also a victim of the new selfie-disorder! We feel they are the true adjustmentals! They’ll sit anywhere, anyhow, anytime. Where ever they can find a spot, they’ll plonk their bags and perch themselves there. Mostly tired students or exhausted professionals can be seen sitting down at the end of the day. 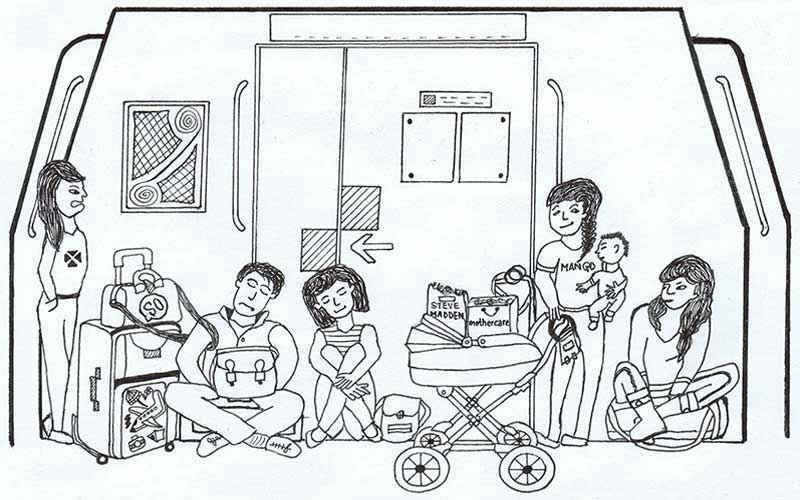 It’s a human tendency that when you’re told not to do something or go somewhere, you always want to do just that and so is the case with these men, who always try their luck to get into the ladies compartment. Ladies feel free to throw these perverts out as you have all the right to!